Very nice Love the vintage pics. 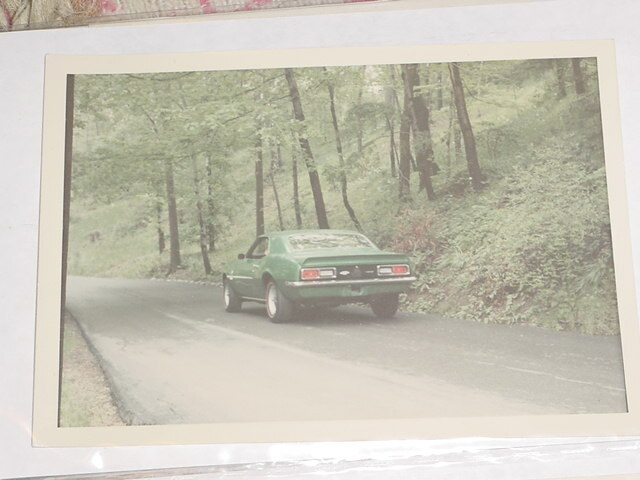 There may be a mark in the one photo in the middle of the tail panel of the tow car but if I am not mistaken it looks like a Firebird is the Camaro's tow vehicle. I guess that is the only way a Pontiac would get to be in front of that Camaro. Mike, Very nice car, loved it at the Reunion. I was like a bird dog I went on point and stopped in my tracks when I saw it. Mike,awesome car,color combo,Very cool! It was good to see you at vettefest and have a little grub on belair62-(bob).will you be are attending barrett-jackson? 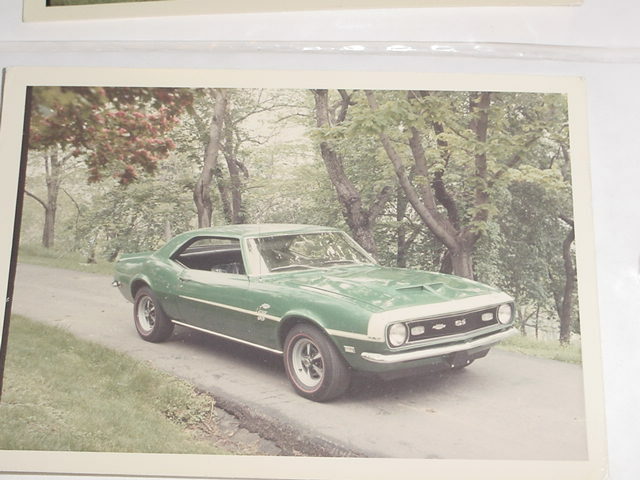 At least two of those photos were taken at Northstar Dragstrip sometime in the early '70's based on their surroundings. Can't be possitive about the other two and also appear to be Northstar. I am pretty sure they were NOT taken at Minnesota Dragways. Sweet car indeed. Love the 68 Yenko's. rear shot...note the lack of license plate. Thanks to all for the generous comments, and, for any corrections on info I have received. The class winner stickers in the windows are still there, and, are from Minnesota Dragway. I really didn't know where the track pictures were taken, so, thanks Rick. Location: N. Carolina, Wake Co. I've always been fond of the 68's. Although its often called a 'carry-over' from 1967, it has unique features only found in that year.